Asaduddin Owaisi is an Indian politician, who is the President of the All India Majlis-e-Ittehadul Muslimeen (AIMIM). He is a three-time Member of Parliament (MP), representing the Hyderabad constituency in Lok Sabha. Owaisi made his political debut in 1994 in the Andhra Pradesh Legislative Assembly election. Contesting from the Charminar constituency which his party has been winning since 1967, he defeated his nearest rival, a breakaway party Majlis Bachao Tehreek’s candidate, by a margin of 40 thousand votes. He succeeded Virasat Rasool Khan as the elected representative from the constituency. In the 1999 election, he defeated his nearest rival Telugu Desam Party candidate Syed Shah Noorul Haq Quadri by 93 thousand votes. 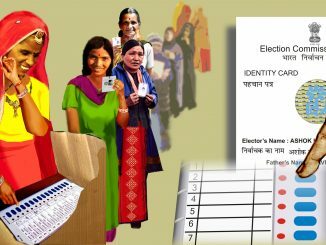 Owaisi polled 126 thousand votes in the election. In the 2004 election, he was succeeded by Syed Ahmed Pasha Quadri as the member of the Assembly from the constituency. In April 2014, Owaisi filed his nomination for the Hyderabad constituency in the 2014 general election. He declared movable assets worth 2.7 million rupees (around $ 42,000) and immovable assets worth 30 million rupees (around $ 463,000). He was elected from the constituency once again by defeating his nearest rival Bharatiya Janata Party’s Bhagvanth Rao by a margin of 197 thousand votes. Asaduddin Owaisi has always been one of the most active Parliamentarians in the Lok Sabha. He has had an impressive record in terms of attendance and participation in debates and won the Sansad Ratna Award in 2014 for his performance in the previous (15th) Lok Sabha. In the 16th Lok sabha too, the number of questions he has asked is at least double that of the state average. Asaduddin has been vocal about women’s rights, as he has debated on the Muslim Women Protection Bill. He has introduced two private member’s bills — The Constitution (Amendment) Bill, 2018 (Amendment of article 84) and The Constitution (Amendment) Bill, 2018 (Insertion of new article 371K). Both of them are still pending. For the complete list of debates participated by the MP, click here. Owaisi has utilised the MPLAD funds on projects related to civic amenities, education, road, health, sanitation and water. According to the Ministry of Statistics and Programme Implementation, Asaduddin Owaisi has completed a total of 225 projects during his five-year-tenure. He has recommended various projects worth Rs 24.87 crore, related to setting up RO plants, CCTV cameras and digging bore wells, to combat water scarcity in the metropolis. 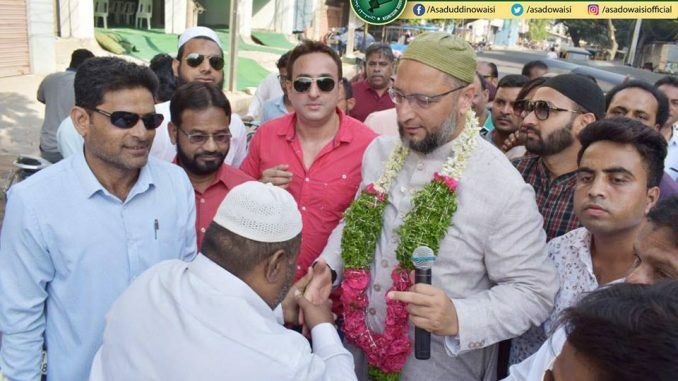 In January 2017, Owaisi argued for the abolition of the Haj subsidy given to the Indian Muslims for traveling to Mecca on religious pilgrimage and utilizing the money for the education of Muslim women instead. 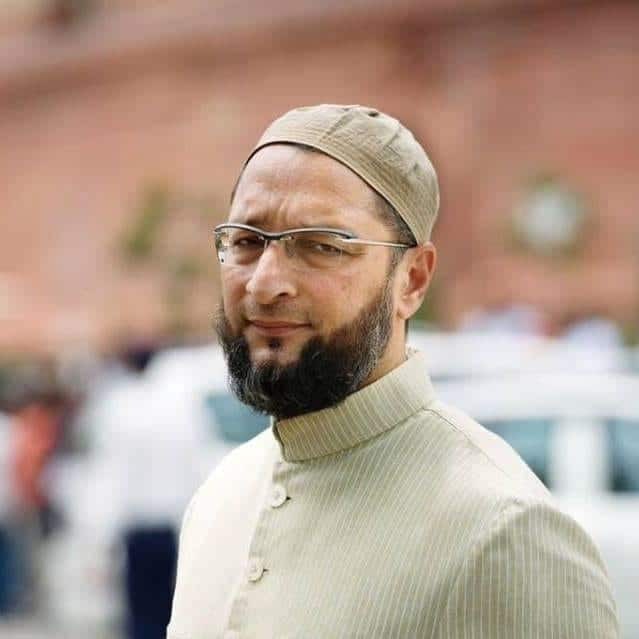 In the UP polls in March 2017, Asaduddin Owaisi’s All India Majlis-e-Ittehad-ul Muslimeen (AIMIM) made an electoral debut in the state by contesting 39 seats but could not win a single. In the aftermath of the BJP landslide in the state, Owaisi was reported to have said that secular parties had failed the Muslims and that the Muslim vote bank is a myth. 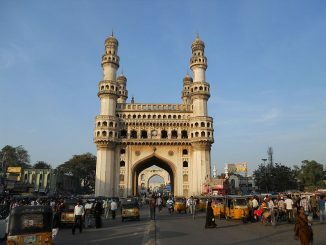 Owaisi was among the first leaders to vocally support the Telangana chief minister K Chandrasekhar Rao’s proposition of a third front as an alternative to the BJP and Congress in the 2019 elections, and called upon the latter to initiate talks. In 2018, the AIMIM leader strongly criticised the ordinance passed by the Union Cabinet making triple talaq a criminal offence and termed it ‘anti-women’, saying it would mean more injustice for women, placing the burden of proof on her. He also questioned the logic behind the government curbing triple talaq while supporting the “decriminalisation” of homosexuality. In March 2019, as tension escalated between India and Pakistan in the aftermath of the Pulwama terror attack, the Hyderabad MP slammed the Pakistani President Imran Khan over his veiled threat, referring to the latter’s mention of his country’s possession of nuclear power.